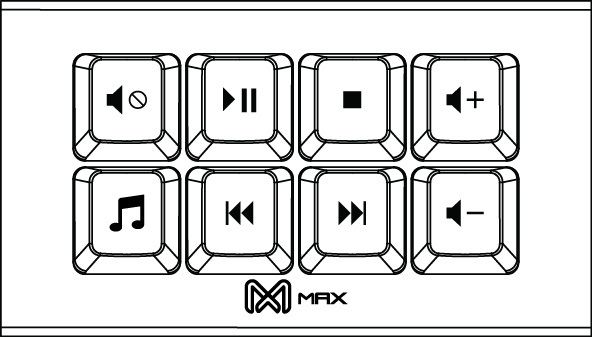 MAX Falcon-8 RGB programmable mini 8-key keyboard/keypad/Macropad. Each key allows you to reprogram and use it as macro keypad or even dedicated shortcut keys. With our simple and easy programming app, you can now create your own macros / media keys and combination keys without any coding experience to increase your daily productivity. By default, Falcon-8 RGB is pre-programmed with the following prefix keys.